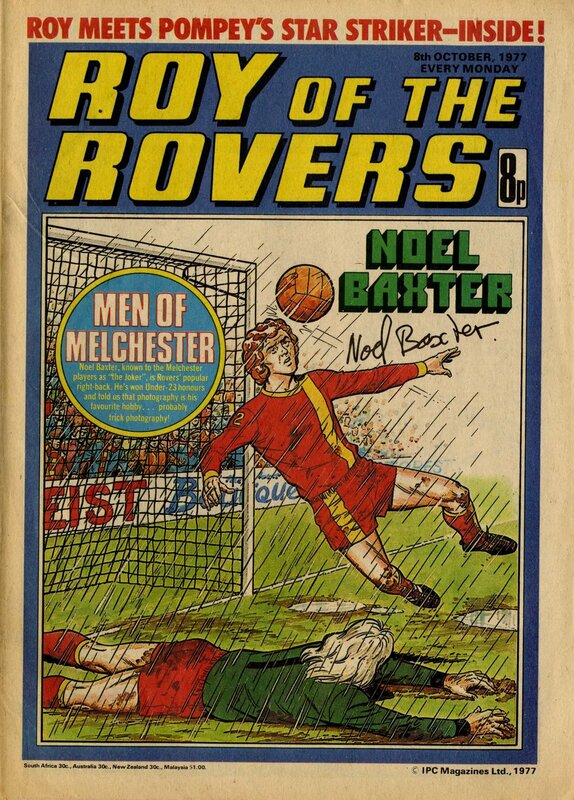 Next up in our season-by-season guide to the fortunes of Roy Race and Melchester Rovers, it’s 1977-78. The season began with a special series of Roy of the Rovers front covers featuring each member of the reigning First Division champions’ first eleven. Beneath the glory-filled covers, however, trouble was brewing on the Melchester terraces and the first half of the season was concerned with Roy’s attempts to placate potential hooligans following his own team and others. 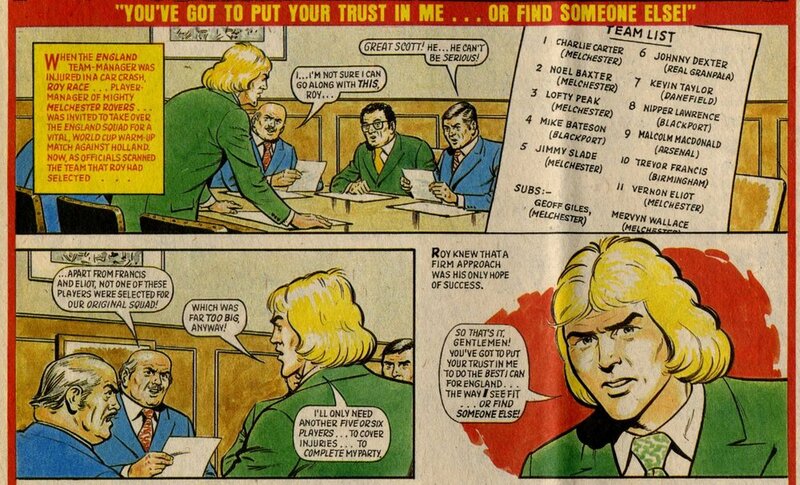 Story by Tom Tully, art by David Sque.